Heathrow Airport today hosts Boeing’s 787 Dreamliner, which has landed in London on the sixth leg of its world tour. Set for further appearances at Manchester and Gatwick Airports before heading to Norway and Italy, the ZA003 is being showcased to an estimated 13,000 guests during this part of the tour, including The Engineer’s Stuart Nathan, who will be casting his critical eye over the new aircraft later today. Boeing says the Dreamliner, which is composed of 50 per cent composites, will offer 20 per cent fuel efficiency over aircraft of a similar size. Some of its components — such as the airframe’s electro thermal wing ice protection system — were made by GKN Aerospace, which later today hosts a tour of its new composite wing structures manufacturing and assembly facility. Located just outside of Bristol, visitors will be able to see how the company plans to build on its position as a first-tier supplier of airframe and engine structures, components, assemblies and transparencies. Dubbed ‘Western Approach’, the new facility is split across two buildings: the first is a composites manufacturing operation that is said to incorporate automated, precision production techniques. The second is a ‘moving line’ assembly facility that uses automated guided vehicles to move structures through a series of semi-robotic work stations. The Engineer will be paying a visit to Western Approach on Friday 27 April so expect a report sometime thereafter. Over in China, the press are currently being invited to view vehicles and technologies on display at the 2012 Beijing International Autoshow. Maybe its my browser (Safari 5.0.6), or my machine (Mac OS X 10.5.8), but the website for the show isn’t really that great (take a look for yourself here). Luckily, other sources have confirmed that there will be debuts in China from Rolls-Royce with the Phantom Extended Wheelbase, Bentley with its Continental GT V8 coupe, and Audi with its 360PS RS Q3 Concept. Ferrari is using the show for the Asian debut of the F12berlinetta and the world premiere for its HY-KERS laboratory car, which is claimed to reduce emissions by 40 per cent and increase performance. HY-KERS derives its hybrid power from a V12 engine and a 100hp electric motor weighing 40kg, which is coupled to the rear of the dual-clutch seven-speed F1 transmission. According to the company, the algorithms and control logics controlling the torque, traction and braking distribution functions are directly derived from F1. 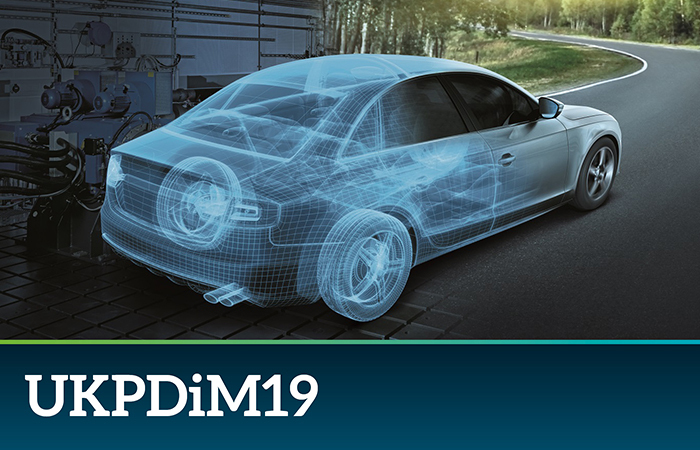 Taking place at the Heritage Motor Centre, the organisers say attendees will be able to listen to technical presentations examining how the high-performance automotive industry can meet emissions targets and legislation through advances in technology and without compromising the driving experience. Finally, Thursday marks the Golden anniversary of the launch of Ariel-1, the first satellite to be developed and operated by the UK. Since then, Britain’s space sector has grown into an industry worth £7.5bn that supports 60,000 jobs across a number of industries. The launch made Britain the third country to become a space-faring nation and, to commemorate the event, the UK Space Agency and the Science Museum are co-hosting a two-day conference celebrating 50 years of the UK in space. The organisers say that there will be personal insights from scientists and engineers involved in the original design and build of the Ariel series of satellites, as well as those working on the flagship programmes of today and tomorrow. The Science Museum will unveil a display on the Ariel programme in its Exploring Space gallery.